I am LOVING these new Fall colors form Sally Hansen. 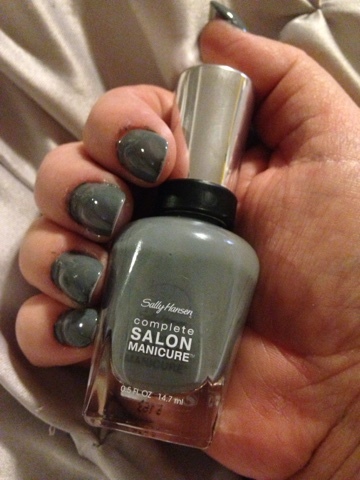 They sent them just before the leaves started falling for review, and we have been having so much fun!This Concrete Jungle from the Complete Salon Manicure Collection is an awesome gray. It went on smoothly, only needed one coat, dried fast, and stayed on for over a week! MamaBreak receives Sally Hansen products to feature during on Mani Mondays. We do not receive any other type of condensation. As always, our experiences and opinions are our own.